Yesterday, the first week of the 70th session of the General Assembly ended and strong theme has been climate change, especially in preparation for the climate summit (COP21) in December. The UN Country Team in the Kingdom of Bahrain invited Elyx to visit their country to show the efforts and progresses of UNEP and UNDP in a territory characterized by severe droughts, coastal degradation and increasing stress on groundwater supplies. In particular, the UNEP team was really excited to show Elyx the new premises of the United Nations Environment Programme Regional Office for West Asia (UNEP ROWA), whose main duty is to coordinate the activities of UNEP in the region, providing expertise, recommendations and technological assistance. 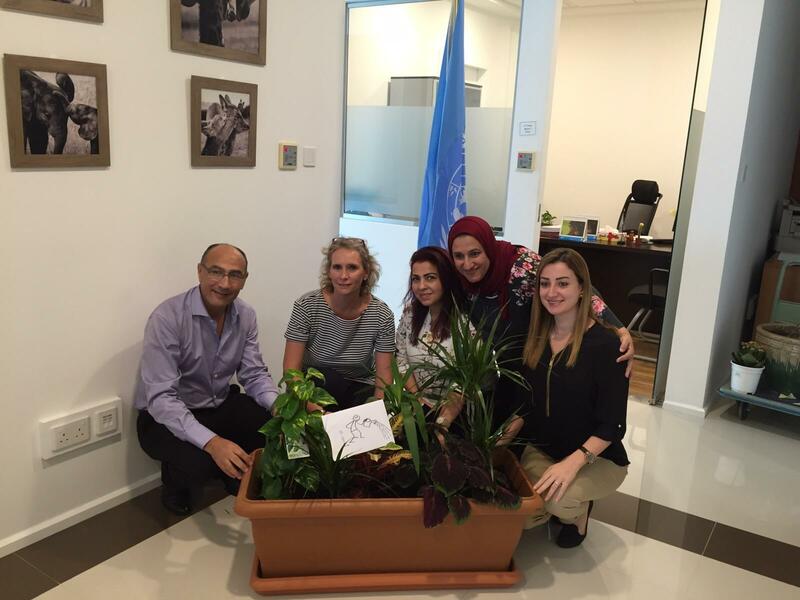 Our digital ambassador met the UNEP ROWA’s Regional Director, Iyad Abumoghli and the Regional Development Coordinator, Melanie Hutchinson, with their programme assistants and together they planted a pot of plants to celebrate the UN’s 70th anniversary. After, Elyx was invited by the UNDP staff to participate to their Workshop on Climate Change at the UN House Conference Room. Elyx was listened thoughtfully at the opening ceremony of the “Media Awareness Raising and Capacity Building on Energy, Climate Change and the Road to Paris Conference”. Our digital ambassador learned more about climate change’s effects in the region and how important the role of communication is, especially with regard to such complex global issue as global warming. In particular, the dialogue with energy stakeholders on climate change is of vital importance for a country such as Bahrain, which is a large exporter of refined oil and gas and where the use of electricity has increased significantly to meet the need of an expanding economy and to desalinate seawater supplies. 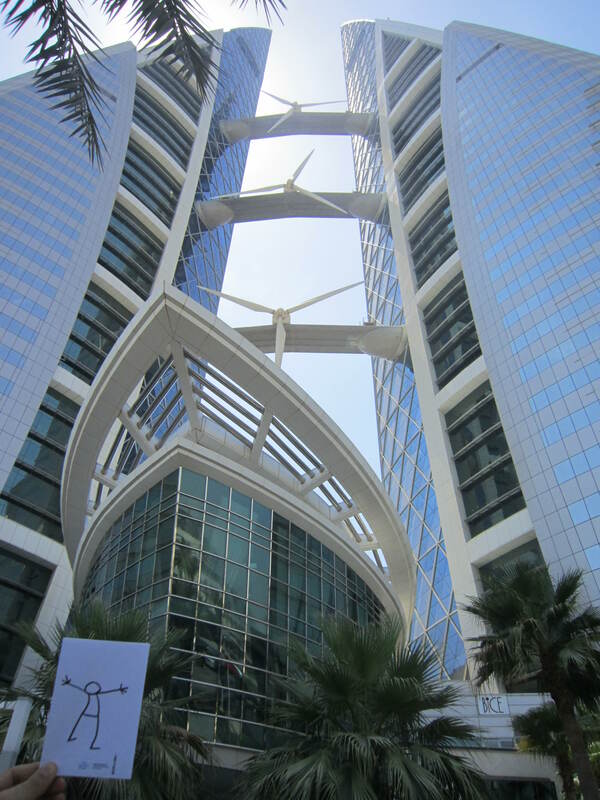 Elyx was really impressed by the progresses made by Bahrain in its sustainable agenda. 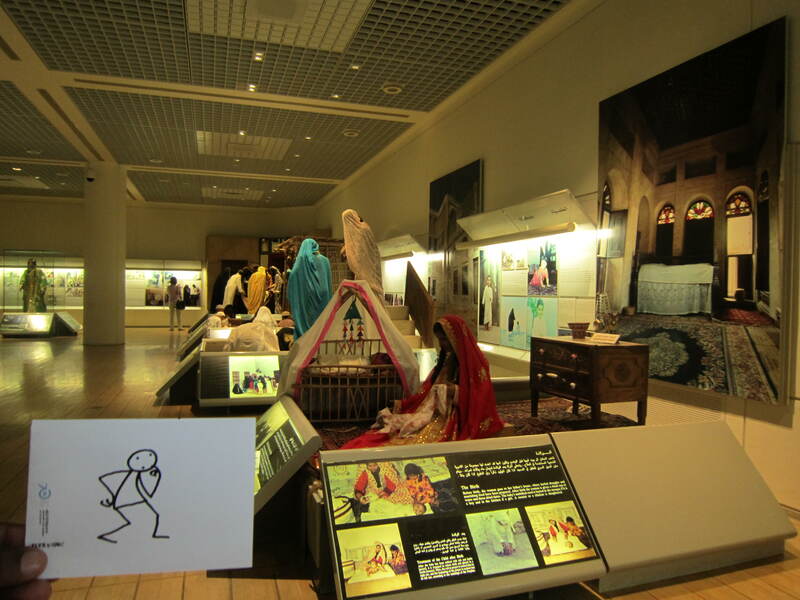 After the conference, the UN country Team could not say goodbye to our digital ambassador without before showing Elyx the beauties and fascinating history of their country. 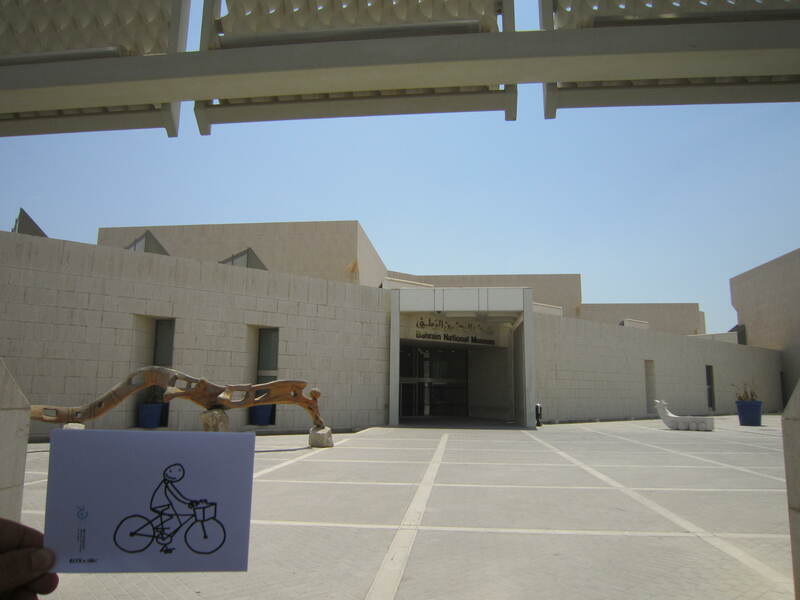 As a first stop, Elyx was invited to visit the Bahrain National Museum, which is the largest and one of the oldest public museums in the Kingdom of Bahrain. Elyx was amazed by the vast amount of ancient archeological aircrafts, but also by the precise and interesting illustration of traditional handicrafts, customs, burial mounds, ancient documents and manuscripts. It seemed like a real jump back in the past! 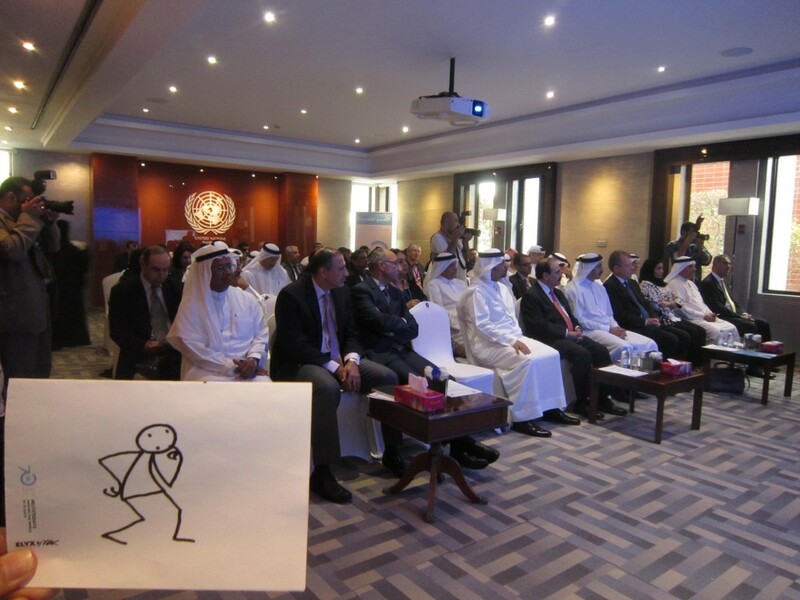 In the museum, Elyx learned that Bahrain is also the ancient land of the Dilmun civilization and the UN staff showed Elyx the Tree of Life where archaeologists have discovered many pottery and other artifacts belonging to this ancient civilization. The Tree of Life in Baharain is an approximately 400 year old, 9,75 meters high Prosopis cineraria tree and it is the only tree in the area, thus being a famous local tourist attraction. 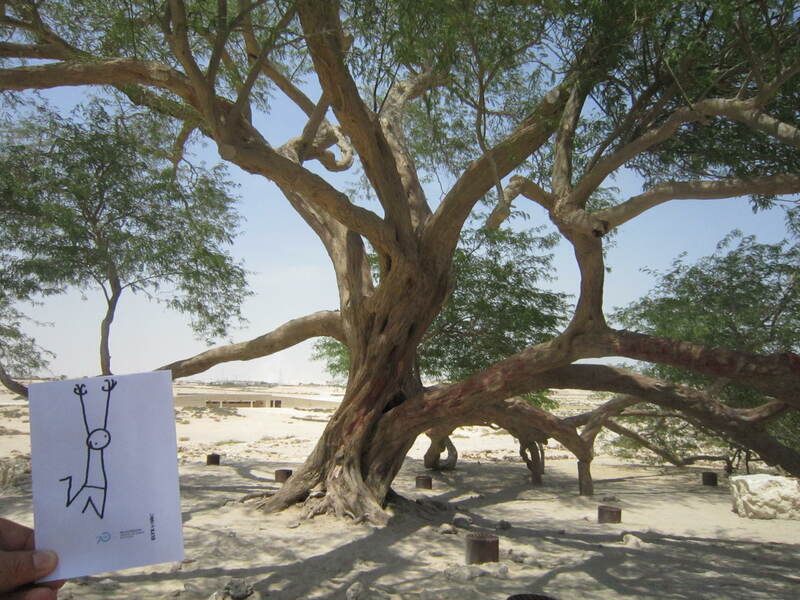 Elyx has had a lot of fun in Bahrain, learning more about climate change and discovering the ancient history of this fascinating country. Goodbye Bahrain!